Ruby on Rails is an open source web framework based on Ruby. It has been a popular choice among startups since it's easier to build and ship the application. 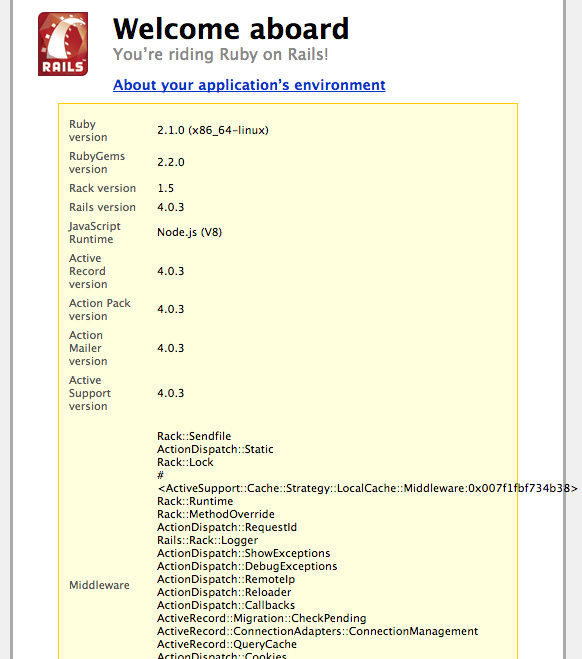 To start using Ruby on Rails, you need to have Ruby installed. However, due to the way Debian packaging system works, you'll mostly end up with an old version of Ruby. So, this guide will show you a safe way for you to use the latest version of Ruby and Ruby on Rails. We need to install some packages so that Debian won't complain about missing files or libraries. We'll use Debian packaging system for that. rbenv doesn't provide any installer, so we have to get use the source from Github. So, we need to clone it in our home directory. Alright, everything is done for our rbenv installation. Next, we will install a ruby. But before that, we need to install some required packages to ensure smooth installation. -k will keep Ruby's source. It will help building other gems in the future. Right now, we need to set which version we want to use every time we run ruby command. Make sure you will remove any directory in your ~/.rbenv/sources if you encounter any problems for this command. Ruby on Rails (RoR) provides a command for your initial application creation. The command will setup your directories, gem dependencies and so on. Before running it, we need to ensure every required packages are installed. You should be seeing a Welcome aboard page. Click "About your application's environment" and you should see something like below. Congratulations! You've successfully installed and created your first RoR application.